When you crochet it is very important how the stitches joined to stitches of the previous row. Depends on it how will look a finished fabric. 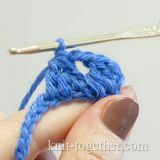 The crochet stitches with a yarn over are some of the most common and simple stitches. 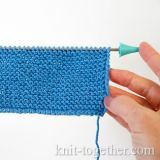 The height of the stitch depends on the number of the yarn over: the more, the higher the stitch. 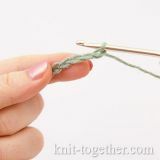 In this articles we consider the general principle to make stitches with a yarn over. 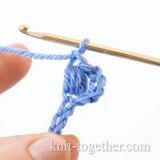 The extended crochet stitches is make similarly to the stitches with or without a yarn over, but inside the stitch need to make a chain stitch. The fabric of these stitches is denser than of the conventional stitches. 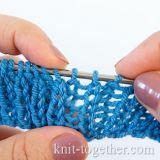 In this section, we begin a series of articles about various cluster stitches, with the help of which you can create interesting textures and add bright accents to your project. 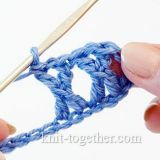 In the last lesson we talked about a Cluster Stitch. Today we continue the theme of the stitches from this family and will tell you about Bobble Stitch and Puff Stitch. 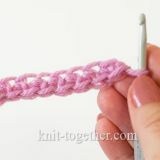 In this lesson we will tell you how to crochet a Popcorn Stitch. 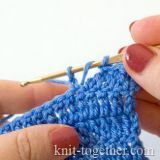 This stitch is ideal if you want to add texture to your project. 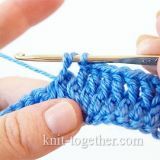 At first glance it may seem that to make Popcorn Stitch is very difficult, but if you will understand the principle, you will be able to make this stitch very easily. In the rubric "The different ways crochet stitches" we don't talked about method "crochet post". This method of fastening the stitches to the stitches of the previous row forms a separate type - textural or convex stitches, so we have devoted them a separate theme. Treble Cross Stitch, as its name implies, has the appearance of a cross. 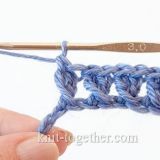 This stitch is also called K-Stitch. 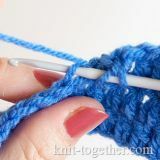 The crossed stitches often make with one yarn over. And so, in this lesson we show, step by step, how to make a treble cross stitch. 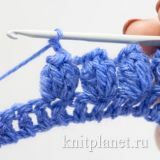 We continue theme begun in last lesson, and in this lesson we will tell and show you how to make the crossed double crochet. The Foundation Single Crochet (FSC) will be needed in cases where we need elastic initial row. This method forms a beautiful braid along the all first row. 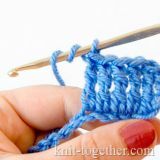 Now let's take detailed look at how to make a foundation single crochet.. Text description and video lesson.